To sign up as a Fashion Hunter you will need to provide a list of documents and go through our admission process. Start by contacting our platform to sign up. Once your information has been validated, you can create your profile as a Fashion Hunter on the Fashion Hunter app. You can manage your store from the application or our extranet at your convenience. You need to make a deposit that will be returned to you if you decide to leave the platform. This deposit will be cashed in if you fail to deliver an authentic product or if you have received the money transfer from your customer and not delivered him/her the goods. You must not conduct any systematic or automated data collection activities (including without limitation scraping, data mining, data extraction and data harvesting) on or in relation to this website without ÔLAVIE’s express written consent. You must not use this website for any purposes related to marketing without ÔLAVIE’s express written consent. Access to certain areas of this website is restricted. ÔLAVIE reserves the right to restrict access to other areas of this website, or indeed this entire website, at ÔLAVIE’s discretion. ÔLAVIE may disable your user ID and password in ÔLAVIE’s sole discretion without notice or explanation. If ÔLAVIE provides you with a user ID and password to enable you to access restricted areas of this website or other content or services, you must ensure that the user ID and password are kept confidential. You grant to ÔLAVIE a worldwide, irrevocable, non-exclusive, royalty-free license to use, reproduce, adapt, publish, translate and distribute your user content in any existing or future media. You also grant to ÔLAVIE the right to sub-license these rights, and the right to bring an action for infringement of these rights. Your user content must not be illegal or unlawful, must not infringe any third party’s legal rights, and must not be capable of giving rise to legal action whether against you or ÔLAVIE or a third party (in each case under any applicable law). ÔLAVIE reserves the right to edit or remove any material submitted to this website, or stored on ÔLAVIE’s servers, or hosted or published upon this website. Not withstanding ÔLAVIE’s rights under these terms and conditions in relation to user content, ÔLAVIE does not undertake to monitor the submission of such content to, or the publication of such content on, this website. Through the website, ÔLAVIE provides an electronic web-based platform for transactions between buyers and suppliers of products and services. ÔLAVIE does not represent the seller or the buyer in specific transactions and does not charge any commissions from completing any transactions. As a result, ÔLAVIE does not control and is not liable to or responsible for the quality, safety, lawfulness or availability of the products or services offered for sale on the website or the ability of the suppliers to complete a sale or the ability of buyers to complete a purchase. Users are hereby made aware that there may be risks of dealing with people acting under false pretences. ÔLAVIE uses several techniques to verify the accuracy of the information our users provide us when they register on the website. However, because user verification on the Internet is difficult, ÔLAVIE cannot and does not confirm each user’s purported identity. ÔLAVIE encourages users to use the various tools available on the website, as well as common sense, to evaluate with whom you are dealing. Each user acknowledges that it is fully assuming the risks of purchase and sale transactions when using the website to conduct transactions, such risks shall include, but not limited to, mis-representation of products and services, fraudulent schemes, unsatisfactory quality, failure to meet specifications, defective products, delay or default in delivery or payment, cost mis-calculations, breach of warranty, breach of contract and transportation accidents. Each user agrees that ÔLAVIE shall not be liable or responsible for any damage that may arise a result of or in connection with any of the abovementioned transaction risks. Users are solely responsible for all of the terms and conditions of the transactions conducted on, through or as a result of use of the website, including, without limitation, terms regarding payment, returns, warranties, shipping, insurance, fees, taxes, title, licenses, fines, permits, handling, transportation and storage. In the event that any user has a dispute with any party to a transaction, such user agrees to release and indemnify ÔLAVIE (and our agents, affiliates, directors, officers and employees) from all claims, demands, actions, proceedings, costs, expenses and damages (including without limitation any actual, special, incidental or consequential damages) arising out of or in connection with such transaction. This website is provided “as is” without any representations or warranties, express or implied. ÔLAVIE makes no representations or warranties in relation to this website or the information and materials provided on this website. These limitations of liability apply even if ÔLAVIE has been expressly advised of the potential loss. You accept that, as a limited liability entity, ÔLAVIE has an interest in limiting the personal liability of its officers and employees. You agree that you will not bring any claim personally against ÔLAVIE’s officers or employees in respect of any losses you suffer in connection with the website. Without prejudice to the foregoing paragraph, you agree that the limitations of warranties and liability set out in this website disclaimer will protect ÔLAVIE’s officers, employees, agents, subsidiaries, successors, assigns and sub-contractors as well as ÔLAVIE. You hereby indemnify ÔLAVIE and undertake to keep ÔLAVIE indemnified against any losses, damages, costs, liabilities and expenses (including without limitation legal expenses and any amounts paid by ÔLAVIE to a third party in settlement of a claim or dispute on the advice of ÔLAVIE’s legal advisers) incurred or suffered by ÔLAVIE arising out of any breach by you of any provision of these terms and conditions, or arising out of any claim that you have breached any provision of these terms and conditions. Without prejudice to ÔLAVIE’s other rights under these terms and conditions, if you breach these terms and conditions in any way, ÔLAVIE may take such action as ÔLAVIE deems appropriate to deal with the breach, including suspending your access to the website, prohibiting you from accessing the website, blocking computers using your IP address from accessing the website, contacting your internet service provider to request that they block your access to the website and/or bringing court proceedings against you. ÔLAVIE may revise these terms and conditions from time-to-time. Revised terms and conditions will apply to the use of this website from the date of the publication of the revised terms and conditions on this website. Please check this page regularly to ensure you are familiar with the current version. ÔLAVIE may transfer, sub-contract or otherwise deal with ÔLAVIE’s rights and/or obligations under these terms and conditions without notifying you or obtaining your consent. These terms and conditions constitute the entire agreement between you and ÔLAVIE in relation to your use of this website, and supersede all previous agreements in respect of your use of this website. These terms and conditions will be governed by and construed in accordance with the Law of Hong Kong Special Administrative Region, and any disputes relating to these terms and conditions will be subject to the non-exclusive jurisdiction of the courts of Hong Kong Special Administrative Region. Unless otherwise stated, ÔLAVIE and/or its licensors own the intellectual property rights in the website and material on the website. Subject to the license below, all these intellectual property rights are reserved. 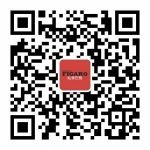 The official Chinese platform of «Le Figaro», here you can find the freshest fashion information, the most authentic French perspective, the most elegant “art de vivre” and explore the charming romantic France.